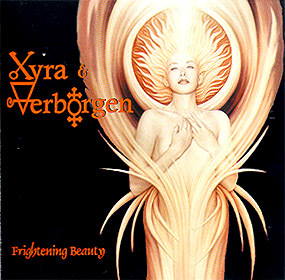 How very curious, and how very apt, that the Washington Post should have entitled its recent piece about Procol-fans Xyra and Verborgen 'A Diva by Any Other Name', resonating as that title does with the song Quite Rightly So and with the cognomen of the Secret Diva who was recently revealed to have inspired it. 'Her voice swaying and swooping to somewhat melodramatic lyrics about life and love and death and art ... she stood very still on stage, swaying her platinum blond hair ever so slightly,' says Eric Brace in the article in question. Never having had the pleasure of hearing the Verborgen Cabaret in action - though it has played many well-received gigs in the USA - I can nonetheless well imagine that spectacle: the words are introverted, the music somewhat mannered, yet the whole has a mesmerising and wholesome quality that won't let go of your mind once you let it in. Those who liked the fragile intensity of the first Xyra album will love this one too, since all the qualities of Glass Birds evidently remain in place (I had the same sense of relief that we all experienced on first playing Shine on Brightly to find out if it really continued the rich vein first explored in the Procol Harum album!). This new album is as Nico-esque as the first, more so in fact since it includes Xyra's interpretations of material by her vocal role-model, and a cover of Nico's Jim Morrison tribute, You Forgot to Answer, into the bargain. There's also a characteristic rendering of My Funny Valentine and a Bryan Ferry item, When My Heart Is Still Beating. The kinship with Ferry is, now that I think of it, no surprise at all! 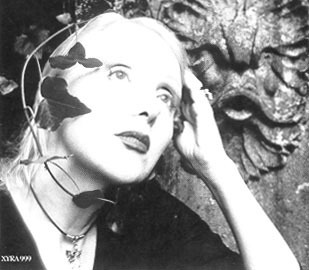 Xyra's self-penned songs remain dense, allusive, and musically intricate: there is perhaps less in the way of conspicuously haunting melody than on the first album, but there are still some marvellous arrangements, and the tendency towards spareness is consolidated in an a cappella vocal track leaning in the direction of June Tabor … no bad direction! But remember: the reason why we're covering this band is that they continue to express a wish to play with Procol Harum: many is the mail they have sent to his office about gigs they could share with Gary and his cohorts if they were to make it to the states. Live shows imminent in the metropolitan Washington, DC area: maybe some Palers could go to one of these shows and make contact? 18, 2000 - between 12 noon and 1 PM. Anyone capable of receiving this radio signal is invited to listen, and call in their comments!